On Monday, January 23, Governor Scott Walker introduced a welfare reform package called “Wisconsin Works for Everyone.” The package seeks to build on the “Wisconsin Works” program, which was enacted in 1996 by Governor Tommy Thompson. While the program’s specifics will be laid out next month in the governor’s biennial budget proposal, Walker touted some aspects of the plan at press conferences around the state last week. “The Wisconsin Works for Everyone proposal we’re introducing today includes reforms to ensure that programs serve as springboards to self-sufficiency, not just mechanisms for alleviating material hardship.” said Walker. The proposal aims to invest in job and skills training for unemployed and underemployed Wisconsinites. In particular, job training programs would be expanded for low-income noncustodial parents in the child support system, individuals receiving FoodShare, and ex-offenders and the incarcerated. 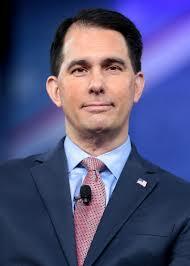 Walker also plans to reform occupational licensing requirements. The proposal creates a “Sunset Council” to review existing occupational licenses and continuing education requirements, and may have the ability to make recommendations for repeal. A press release from the governor office calls occupational licenses barriers to work. Additionally, the proposal establishes an earned-income tax credit for young adults aging out of foster care and individuals exiting the Supplemental Security Income child disability program at age 18. The tax credit serves as an incentive and reward for employment.